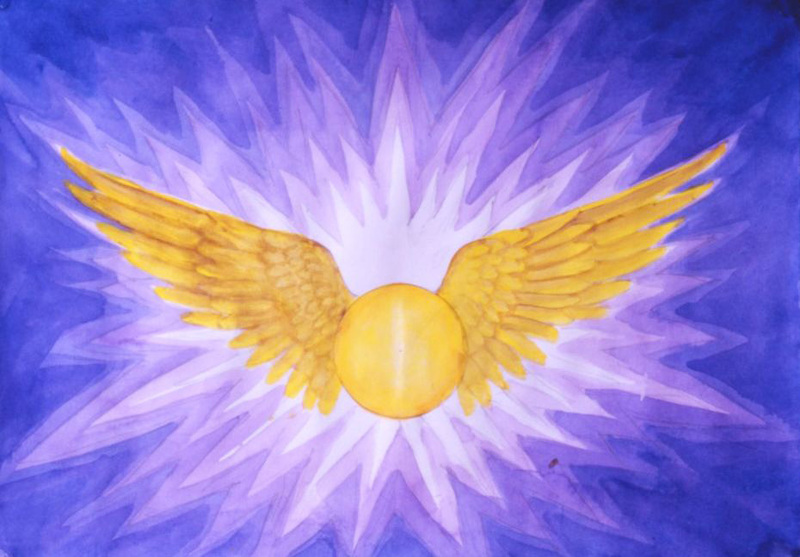 The Higher Self Transmission: Activating Three New Centres of Light, Power and Grace. The Galactic Centre (GC) is a giant black & white whole that sits at the centre of our Milky Way Galaxy. The Galactic Centre is currently positioned at 270 Sagittarius (tropical) or 40 Sagittarius (sidereal). Metaphysically, the Galactic Centre is the source of our Soul’s highest aspirations & what we have chosen as the greater evolutionary purpose for our Soul in this lifetime. 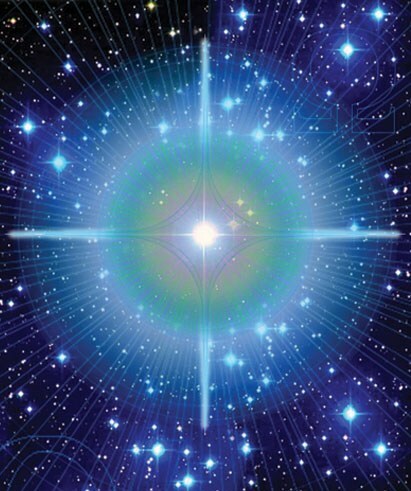 To understand the influence the Galactic Centre has upon you individually, I recommend looking at your own personal Natal Chart (your astrology chart), and the position/house of the Galactic Centre at your time of Birth – as this will give you a greater understand of your Soul Purpose in this lifetime. 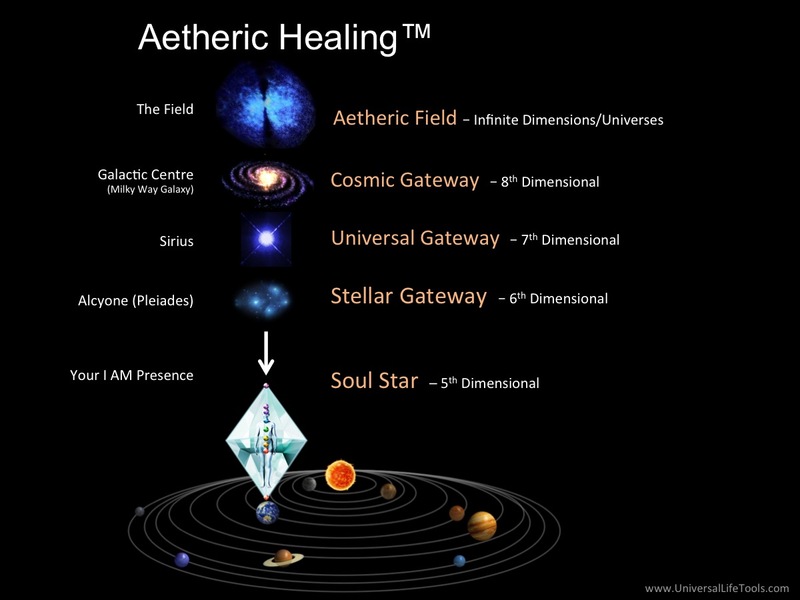 Refer to Aetheric Healing™ for further details. The Galactic Centre is a powerful transmitter of energy waves known as ‘Waves of Love’. 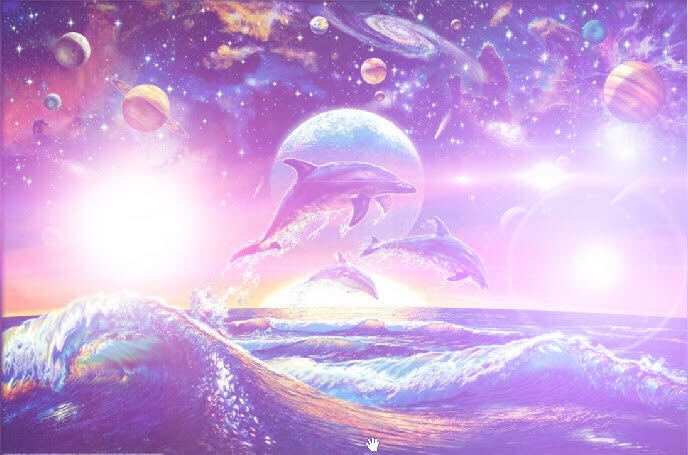 Since 1987, the vibrational frequency of these Waves have been increasing in intensity and will continue to do so as we move toward 2040, the Golden Age (refer to my book Shealla-Dreaming) as we quantum leap into our new 225 Million year Galactic Cycle. 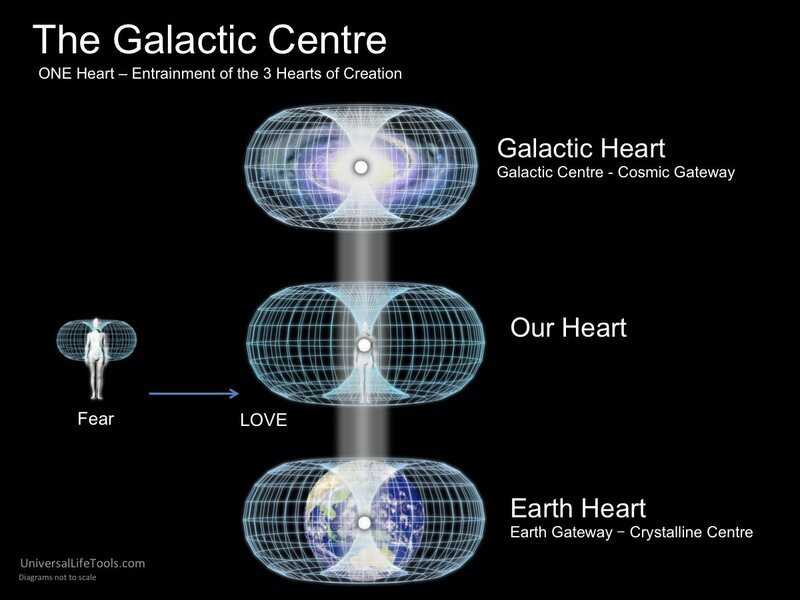 These electro-magnetic cosmic emissions (Waves of Love) are pulsating the torroidal field of energy that surrounds our heart, helping us to beat our Hearts Torroidal Field in unison with the Earth’s Torroidal Feild, in unison with our Milky Way Galaxy’s Torroidal Field. As the ‘three Hearts’ (Earth, Human Heart, Galactic Heart) beat as ONE, we move beyond the limitation of our perceived separateness, and we embrace the Love, the Joy, the Beauty of a ONE humanity evolving into an enlightened New Earth. As mentioned above, our Milky Way Galaxy is part of a local grouping of 50+ Galaxies referred to as the ‘Local Group’. 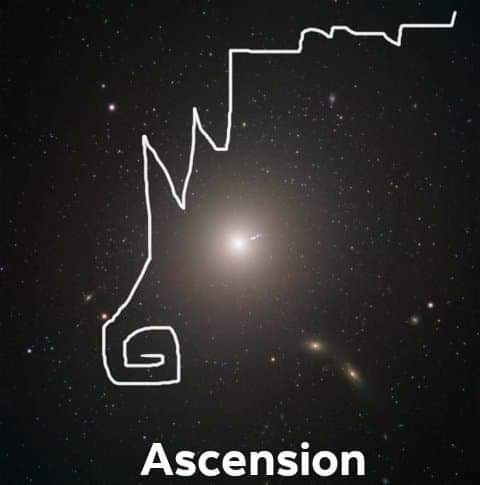 The Local Group (which includes our Milky Way Galaxy) is then part of an even greater group called the Virgo Super Cluster, which in turn is part of an even greater group called Laniakea Super Cluster. 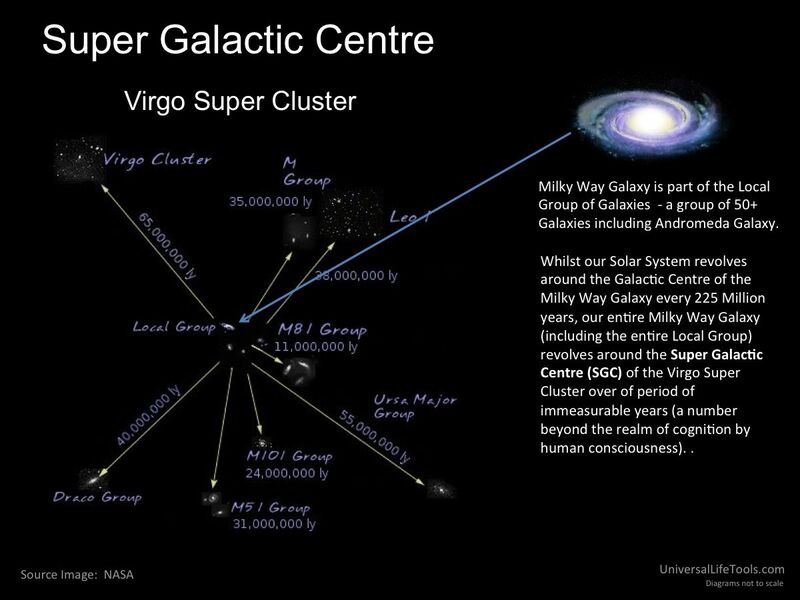 Whilst our Solar System revolves around the Galactic Centre every 225 Million years, our entire Milky Way Galaxy (including the entire Local Group) revolves around the Super Galactic Centre (SGC) (m-87) of the Virgo Super Cluster over of period of immeasurable years (a number beyond the realm of cognition by human consciousness). The Super Galactic Centre is located at 20 Libra (tropical) or 70 Virgo (sidereal) and at an approximate distance of 53 Million light years from Earth (1 light year = 9.5 Trillion km). Whilst the Super Galactic Centre has the mass of 30 trillion times that of our own Sun, 90% of the SGC remains hidden. 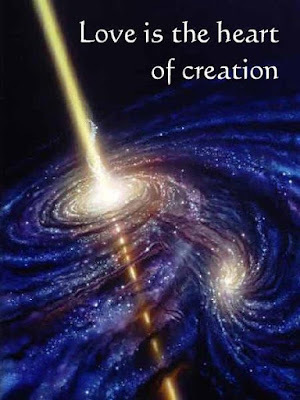 Whilst the Galactic Centre influences are individual Soul Evolutionary Purpose, the Super Galactic Centre represents the greater potential of our Higher Collective Consciousness – the Collective Evolutionary Purpose of our Galaxy & Local Group. The Super Galactic Centre draws us into a higher cosmic relationship with the eternal force of creation. 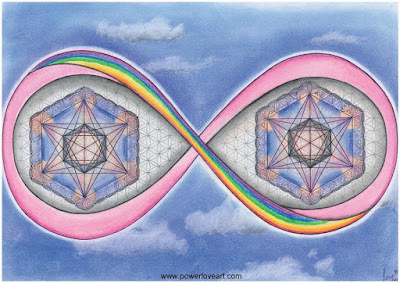 An interweaving, a soul-mate connection as the Feminine & Masculine fully unite as ONE, entwining together in a cosmic DNA spiral of life. Interestingly the Super Galactic Centre lies at a right angle to the Galactic Centre. 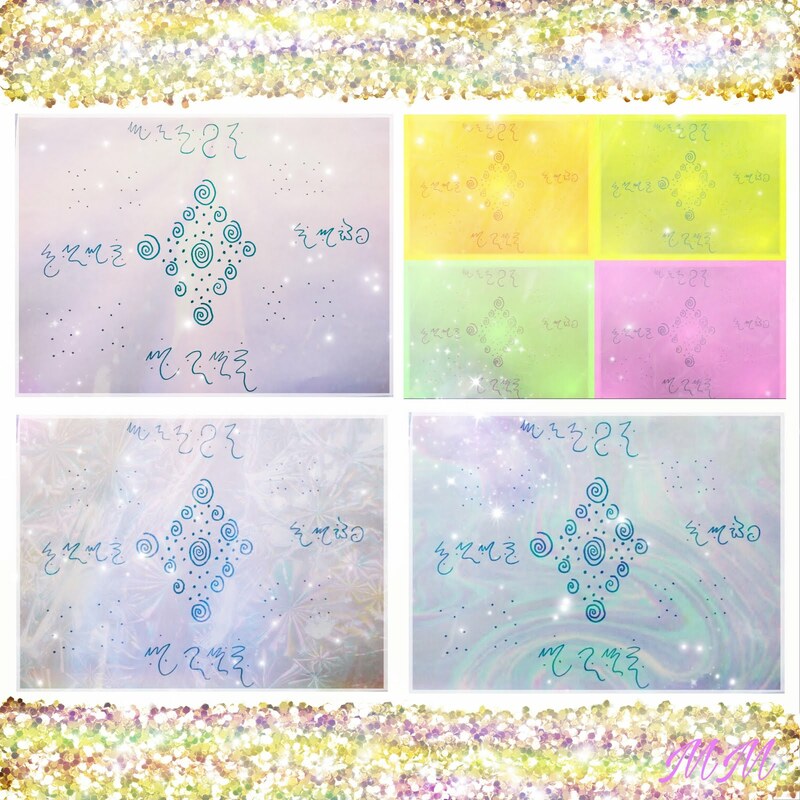 Just like sunlight refracts of water droplets at a right angle to create a rainbow, Super Galactic Centre Cosmic Radiation Wave emissions refract through the Galactic Centre amplifying the GC Wave of LOVE streams and awakening humanity into the next cycle of Evolution. 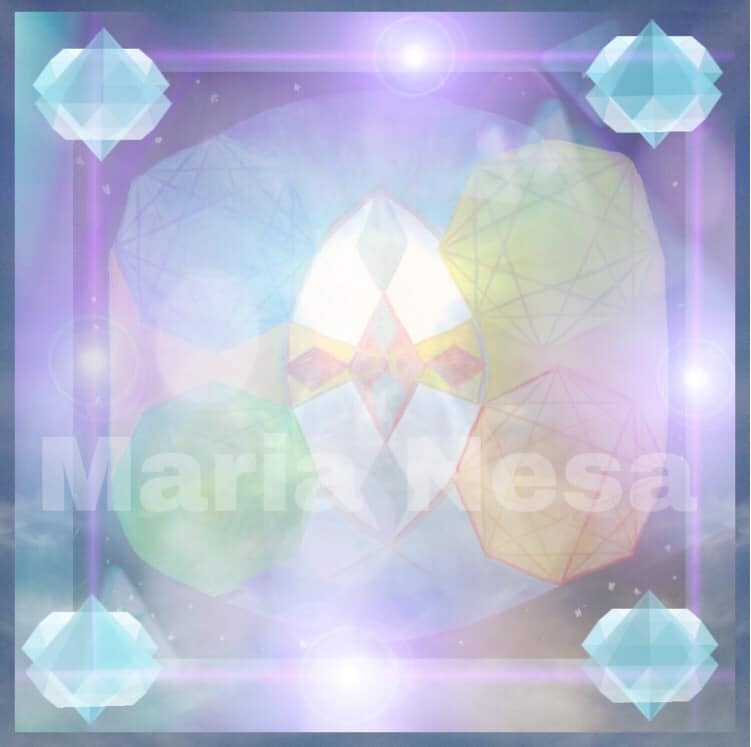 On an individual level, these right angle emissions stimulate our Light Activation Points (refer Crystal Light Healing®), ultimately resonating our pineal gland / primordial cells pathway and activating our DNA. With the shift in axis last time our hearts were closed through fear and frozen, just like the formation of the Ice Poles at that time. As we melt the ice in our hearts, the ice melts at the poles which is now happening. We are the Earth Changes, as we are one with the Earth and all Creation. The fear of prophecies of doom, tidal waves, volcanoes, earthquakes is the fear within us. If we can Love and transmute the inner tidal wave of emotions or earthquake within ourselves we are free of the fear in the physical world. By practicing this we open the doorway of the heart, the Unconditional Love, and so move into higher dimensions were fear does not exist. 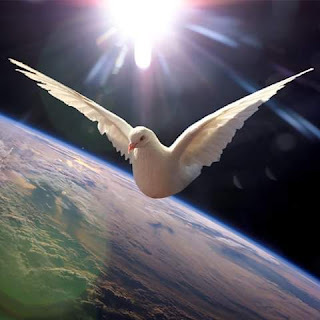 Our world changes to one of harmony and peace. 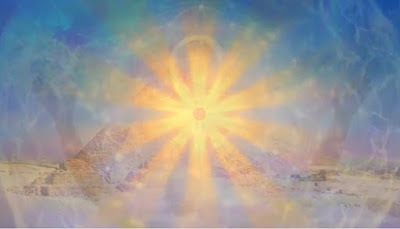 All ancient civilizations honored the Sun as the symbol of Source, the giver of life. They used gold as the metal that symbolized the Sun and Divine energy, one example of the use of Gold and its divine connection is with the Incas. In Peru there is a Golden Solar Disc, this had come from Lemuria just before the cataclysm that erased that amazing civilization. 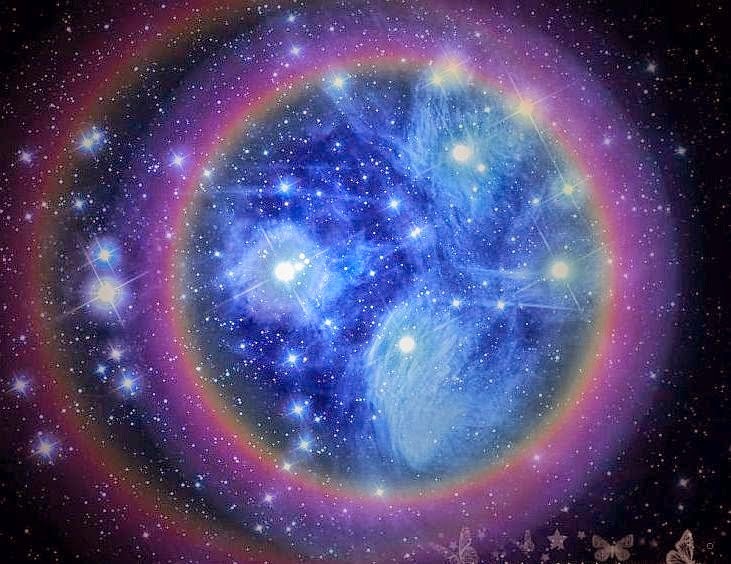 A master was guardian of this Disc for along time, and the Incas used it as they were aligned with its energy through the Central Sun, and worthy to use it. It was at the Temple of the Sun in Cusco. Cusco, 4,000 meters up in the Andes, itself being a sacred place, for after the great flood that submerged most of the earth, two starry beings came down to the Islands of the Sun and Moon in Lake Titicaca. They had a golden rod, and wherever it could be put into the earth would be sacred, and the beginnings of a new expression of humanity on earth. The Sun and Solar energy is radiating to and through Earth like never before as our Sun aligns with our Central Sun, and through to the Greater Central Sun in alignment with all. This is a major event and the reason why so many of us who are taking responsibility, and honouring and trusting our heart, are following our calling. Our Solar self illuminates us and transmutes our pain, and fear, our separation conscoiusness into unity conscoiusness as we to reunite us with our Source."